Trees naturally shed some of their needles every year, and some of these shed needles accumulate within the inner branches of the tree. The shaking process removes this debris providing a tree that will leave little mess in the home during set up and disposal at the end of the Christmas season. Baling trees consist of pulling a tree through a specially designed funnel which compresses the tree and covers it with a plastic mesh securely holding in the branches. 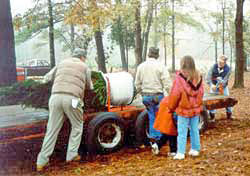 This process makes it safer and easier for you to get your tree home. 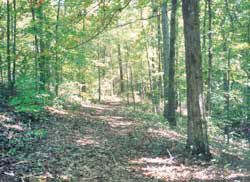 The baling process in no way damages the appearance of the tree. Once the netting is removed, the tree fluffs back out into its original shape. 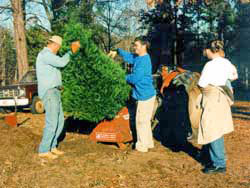 We’ll load and secure your tree to or in your vehicle. 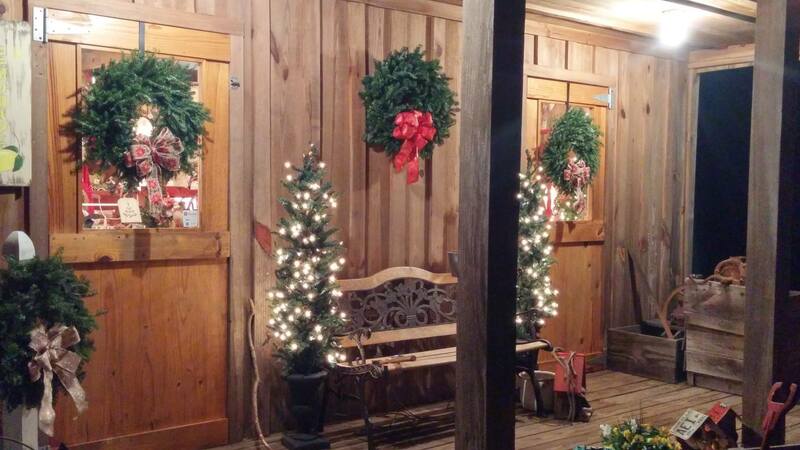 In addition to trees, we also sell wreaths and tree stands in The Old Barn Shoppe. Coloring books are complimentary for the younger children. On the weekends, you may help yourself to a cup of complimentary hot apple cider. 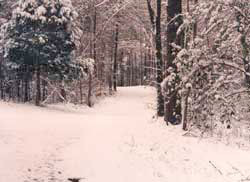 Come and enjoy a leisurely walk over the hills, through the forest and beside the stream on our nature trail.